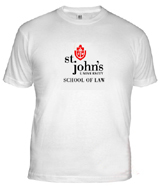 Need custom printed school t-shirts? Shirts for your team, sorority t shirts or fraternity t shirts? Show off your school’s logo, mascot and colors with school spirit shirts. We not only print custom made school spirit t-shirts, but athletic t shirts, club shirts, high school musical t-shirts, special event shirts, and much more, in as little as 24 hours if you need a rush. Otherwise, standard turnaround is about a week. We can also print school ringer T shirts, compression T shirts, long sleeve T shirts and tank tops, as well as hoodies, sweatshirts, uniforms, hats, caps, visors, towels, aprons, virtually anything with your logo on them. We make it easy for you, with a sales rep that can help you choose the right brand and item for your needs. We help you research the “right stuff” for your unique needs. We don’t believe in offering “packages” because every school is different. You’re not a package, you’re a person, and all our work reflects uniqueness, and not “cookie-cutter” boring styles. We print and embroider clothing that you enjoy wearing, not only at school, but everywhere! 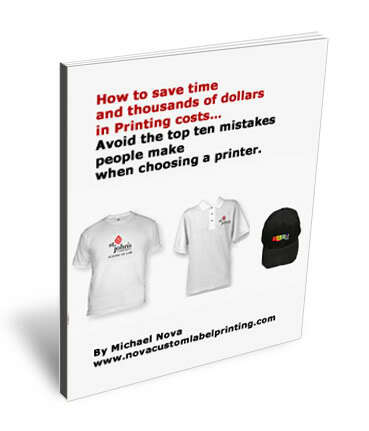 We provide you with the highest quality custom t-shirts in the industry. Whether it’s for high schools, elementary schools, middle schools, junior highs, or teams, leagues or clubs you can be sure it will be “always be done RIGHT on time”. That’s our motto. Do you need team or league t-shirts with custom embroidered/printed names and numbers? we print and embroider customized high school and team uniforms for all sports. Please call our national sales office: (800) 495-1306, Monday- Friday, 9am-6pm. school t shirts, school hoodies, school sweatshirts, school hats, etc. Bonus: We have facilities all across the nation, so there is a location near you. We ship from 12 different states across the U.S., saving you money in shipping and time, PLUS we also specialize in RUSH ORDERS. If you send us your logo at high resolution, and need screen printing, we will make the screens for you and hold them for reorders. If you need embroidery, we make a digitized embroidery file that we also hold for reorders, so everything is streamlined for effectiveness. * Also note, if you do provide your logo for silk screened, DTG or embroidered school t shirts, school hoodies, school sweatshirts, school hats, or other items, please email us 300 dpi high resolution digital files in photoshop or illustrator at actual size, in layers. We can take PSD, PDF, JPEG, EPS, AI, TIF files. Also please remember to convert type to paths or outlines, or send us the fonts that should be used in a zip file. All of our facilities across the nation offer RUSH service. for prices and more info. Please also check out our T Shirt Screen Printing page and Customized Hats / Customized Shirts page to learn more about everything we do.